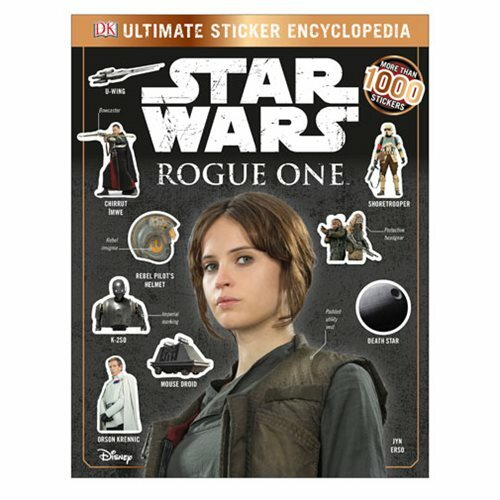 Combining fun and informative captions with a range of innovative and engrossing sticker activities, the Star Wars: Rogue One Ultimate Sticker Encyclopedia Book is a must-have for all Star Wars movie fans. It showcases a full range of exciting Star Wars characters, alongside vehicles and locations, with plenty out-of-this-world of adventure. With more than 1,000 full-color stickers, this book will appeal to any Star Wars fan. The 96 page book measures about 11-inches tall x 8 1/2-inches wide.